CXtec is the world’s premier provider of used Cisco equipment, but what we offer is more than just used Cisco gear. Our exclusive equal2new® brand of certified pre-owned Cisco equipment allows our customers to take advantage of all the benefits of purchasing refurbished Cisco hardware along with all of the peace of mind they expect from purchasing new. How can equal2new® Cisco hardware help you? With our refurbished and used Cisco hardware, you get performance guaranteed Cisco switches, Cisco routers, Cisco phones, Cisco SFPs, and Cisco wireless. All this and more to help you find just the right solution at the right price. We carry a wide range of Cisco routers, all equal2new and offering the best value in the industry. Look no further for used Cisco routers including the 800, 1800, 1900, 2800, 2900, 3800, 3900, 7200, and more. CXtec helps you buy the right Cisco phone, for the right reason. Business phones come with a lot of features, and Cisco phones are no different. We can assist you in finding the ideal used Cisco phones, with the ideal level of functionality for your business needs. SFP and GBIC costs can add up over time. Our Cisco compatible SFP modules are the perfect way to save big on your transceiver costs. They contain the same opto-electronics and are supplied by the same distributers. The only difference is the label! You rely on the quality of Cisco wireless solutions, but how do you get the highest quality Cisco wireless hardware without blowing up your budget? Step up to the best! 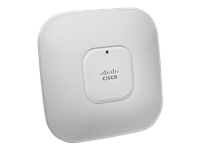 Get CXtec's equal2new refurbished Cisco wireless equipment. RapidCare®, the ultimate next-business-day replacement service that provides you with maximum uptime at 50% or more off traditional SMARTnet maintenance service. If you want the reliability you expect from new Cisco hardware with the bonus of up to 90% off list price, a true lifetime warranty, unrivaled expertise and customer service, and the ultimate next-business-day replacement services, then CXtec's equal2new refurbished Cisco equipment is the only choice. Whether you're buying a Cisco router for an important new project or need to purchase a spare Cisco switch, CXtec has the expertise, experience and knowledge to handle your used Cisco hardware needs. Learn about your options and understand the benefits and value the Cisco Catalyst 6500 Series has to offer.